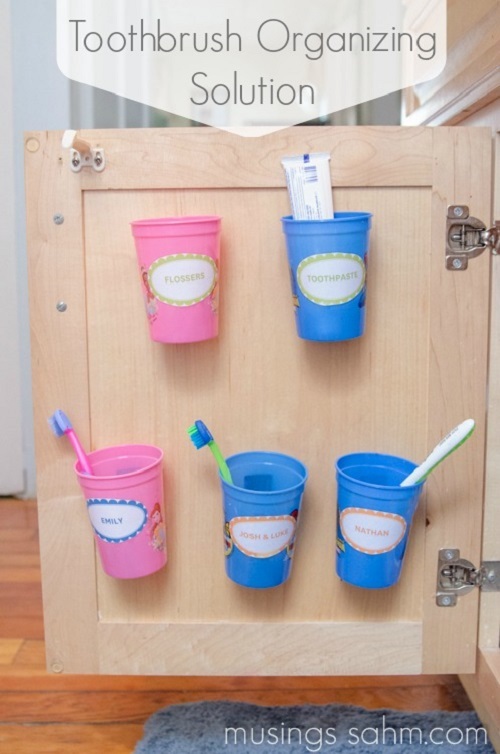 Store extra toothbrushes and toiletries on a bookshelf above the door. Extras work for forgetful houseguests and for when you need a replacement toothbrush (approximately every 3 months). Save space with one base and multiple brush heads. But remember, don’t share a regular toothbrush or an electric toothbrush head – you’ll share germs and infections that way too.